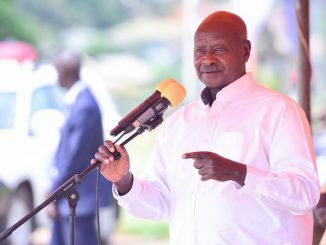 President Museveni says local leaders in the country have failed to encourage Ugandans to work hard and left them to indulge themselves in alcohol consumption and gambling. Courtesy Photo/PPU. President Yoweri Museveni has blamed the increasing poverty in the country on excessive alcohol consumption. 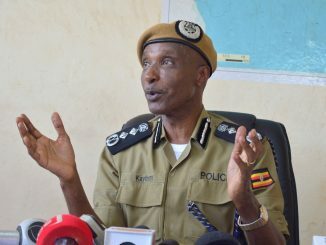 He says local leaders in the country have failed to encourage Ugandans to work hard and left them to indulge themselves in alcohol consumption and gambling. Museveni was speaking during celebrations to the 55 independence anniversary held in Bushenyi on Monday. 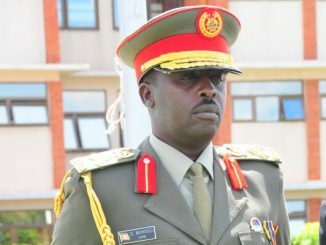 He also used the occasion to send a strong message to those opposed to the lifting of the presidential age limit and vowed to deal with them. Museveni claimed that some Ugandans have developed undemocratic tactics to push their ideas, an issue he is unacceptable. The president who didn’t speak directly about the controversial constitutional amendment bill N0 2, which seeks to scrap the presidential age limit, accused those claiming to be fighting for democratic values for being at the fore front of denying others the right to express themselves. Speaking at the same event, His Highness, the Aga Khan commended government for prioritizing development. 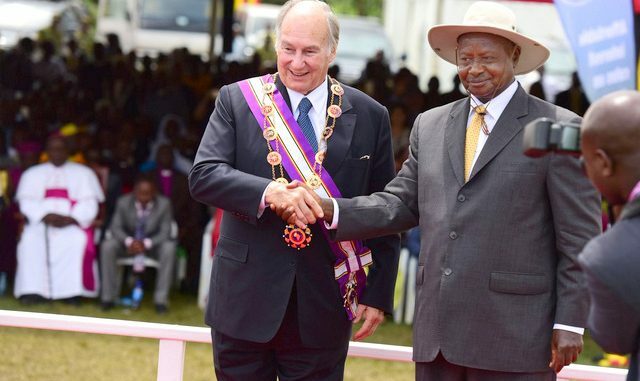 He also hailed Uganda for its courteous gesture towards the Shia Imami Ismaili Muslims community in Uganda, which he says has enjoyed a friendly environment for decades. Aga Khan noted that although Uganda still has a long way, all indicators show a bright future. Earlier on, president, Museveni decorated Aga Khan with the Most Excellent Order of the Pearl of Africa The Grand Master medal. Aga Khan was recognized for his contribution to the country’s development, especially in the education and health sectors as well as the media and tourism. The Aga Khan is the founder and chairman of the Aga Khan Development Network (AKDN), and the 49th hereditary Imam (Spiritual Leader) of the Shia Imami Ismaili Muslims.